Sergei Sobyanin, the candidate close to Russian President Vladimir Putin has been reelected as Moscow Mayor. Russian election officials have announced that Sergei Sobyanin has been reelected as Mayor of Moscow, fending off a challenge from a leading activist in the opposition to President Vladimir Putin. Sergei Sobyanin has served as Mayor of Moscow since 2010. The mayoral election reopened the wounds of the November 2011 general elections which saw violence on the streets of Moscow and marked the return of Vladimir Putin to the Russian presidency. Alexei Navalny, Sobyanin's main contender, was among those arrested following the demonstrations that were broken up by baton-wielding riot police. 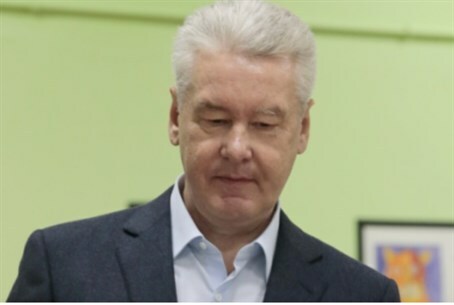 Securing 51.3% in the polls, Sobyanin, who is closely allied with the Russian president, avoided a second round face-off with Navalny, who received 27.2% of votes. Navalny claimed he had won enough votes to take the election to a second round and said the results had been manipulated by "many serious violations". Moscow's electoral commission has denied that there are any grounds for another vote, but Navalny has urged his supporters to take to the streets of Moscow this evening to protest.